DHE Goa Laboratory Assistant Admit Card 2018: Are you searching for DHE Goa Laboratory Assistant Admit Card 2018? Then take a look at this article once. Yes, here on this page we are providing information about DHE Goa Laboratory Asst Hall Ticket 2018. Candidates who had applied for 36 vacancies of Laboratory Assistant, Tabla Accompanist, Harmonium Accompanist vacancy positions in the Directorate of Higher Education (DHE) – Porvorim – Goa organization, they can download the DHE Goa Laboratory Assistant Admit Card 2018 from this page by clicking on the below-provided link. Aspirants can find the Importance of the Admit Card, Information on Hall Ticket, Essential Documents for the Written Examination and Downloading steps from this article. The Directorate of Higher Education, Goa will release the DHE Goa Laboratory Assistant Admit Card 2018 as soon as possible at the organization website. Recently the higher authority of DHE Goa has issued recruitment notification for the 36 vacancies of Laboratory Assistant, Tabla Accompanist, Harmonium Accompanist positions. For this DHE Goa Recruitment 2018, the application process starts on 21st June 2018 and the application process end date on 5th July 2018. The last date for submitting acknowledgment is 10th July 2018. Candidates who want to get settled in the Directorate of Higher Education (DHE) – Porvorim – Goa organization, they should apply for the DHE Goa vacancy positions on or before the end date. The board authority of DHE Goa is planning to conduct the DHE Goa Laboratory Assistant Examination in upcoming months. The officials of Directorate of Higher Education Goa decided to conduct the written exam for Laboratory Assistant vacancies and Practical Examination for Tabla Accompanist, Harmonium Accompanist positions. The DHE Goa Laboratory Assistant Admit Card 2018 will be available few days before the examination through online mode. Aspirants need to download the admit card by giving the Registration ID, Date of Birth or Password details. The DHE Goa Laboratory Asst Hall Ticket 2018 contains all vital information about the examination like examination venue, exam date and time. Also, it contains applicant related information such as the name of the candidate, photograph of the applicant, signature of the candidate. In the above table, we have given organization name, availability vacancies, position names and official website details. We will update the examination date, admit card release dates soon after official declaration. We advise all the competitors must attend for the DHE Goa Laboratory Assistant Examination along with DHE Goa Laboratory Assistant Admit Card 2018. Candidates should download the DHE Goa Laboratory Asst Hall Ticket 2018 from the official website by giving the credential information. Candidates should bookmark this page Sarkari Naukri to know more upcoming updates about DHE Goa Laboratory Assistant Admit Card 2018. The DHE Goa Laboratory Assistant Admit Card 2018 is a compulsory document for the written test, so all the applicants without any negligence must and should download the Laboratory Asst Hall Ticket 2018 and carry it to the exam center. Most of the candidates facing so many technical issues at the time of downloading the DHE Goa Laboratory Asst Hall Ticket 2018. To reduce all those issues, we have given a link at the end of this page. Candidates just give a simple hit on it, and you will redirect into the official website of the Directorate of Higher Education (DHE) – Porvorim – Goa, where you can get the Admit Card easily. At the time of attending the DHE Goa Laboratory Assistant Examination, candidates should carry one Identity Proof along with DHE Goa Laboratory Asst Hall Ticket 2018. The management of the exam will not allow the candidate into the examination hall without DHE Goa Laboratory Assistant Admit Card 2018. The DHE Goa Laboratory Asst Hall Ticket 2018 act as an entry pass. All the applicants should download the Laboratory Asst Hall Ticket 2018 few days before of the examination to avoid last minute rush. Candidates should check downloading steps which is mentioned in the below section. Aspirants first visit the official web source of the DHE Goa at dhe.goa.gov.in. Now Directorate of Higher Education (DHE) – Porvorim – Goa home page will open on the screen. Find the DHE Goa Laboratory Assistant Admit Card 2018 download link on the main page. Now click on that relevant link. After providing the Registartion ID, Date of Birth or Password details hit on submit option. DHE Goa Laboratory Asst Hall Ticket 2018 will appear on the screen. Check the printed information on the DHE Goa Laboratory Assistant Admit Card 2018. 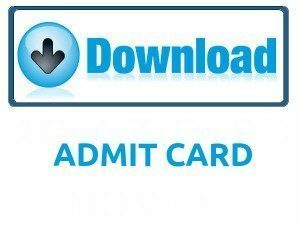 Download DHE Goa Laboratory Assistant Admit Card 2018. At last, take a print out of Hard Copy to attend for the examination. We ensure the above-provided information about DHE Goa Laboratory Assistant Admit Card 2018 is fair enough for all the applicants. Candidates who want to know all government job recruitments, syllabus, previous papers, admit card, and result details, they should keep watching our web portal Sarkarirecruitment.com regularly.